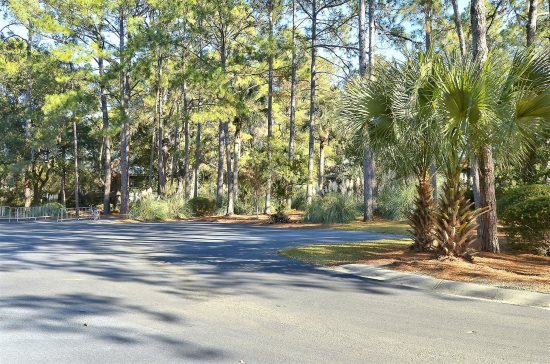 This 5 bedroom, 4 bath, modernly styled, chic home located in Sea Pines Plantation on Hilton Head Island. Looking for a fun, immaculately designed family home for your next vacation? 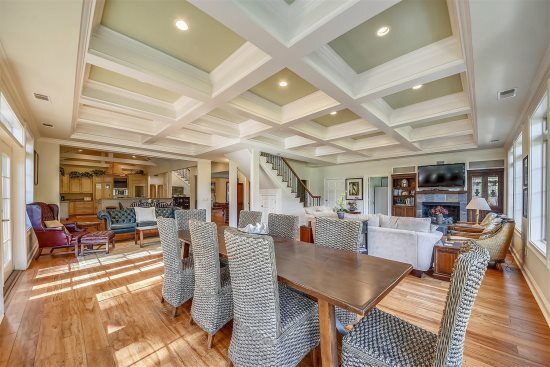 Then this 5 bedroom, 4 bath, modernly styled, chic home located in Sea Pines Plantation on Hilton Head Island, is a vacationer’s dream and the perfect location for your next adventure-filled excursion or relaxing getaway. The colorful shrubs will beckon your attention as you walk up the stairs and receive a warm welcome from the charming foyer. The foyer leads directly to the kitchen and its sophisticated furnishings from travertine floors, granite countertops, sleek but comfy bar chairs, stainless steel appliances, and one of a kind cabinetry for you to embrace your cooking and create gourmet meals. Just off the kitchen is the ornate dining room, designed to seat 8 comfortably. A washer and dryer is located in an alcove off the kitchen, for added convenience. The living room, decorated tastefully in earthy tones, is home to a two piece seating group, a plush armchair, a flat screen television, a decorative fireplace, and lighting to create an alluring ambiance. Doors lead from the living room to the deck which house plenty of space and is the perfect area to relax with a book, dine alfresco, entertain friends, or just sit and let the cool evening breeze take your troubles away. 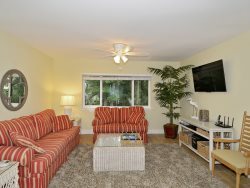 Also located on the first floor is the master bedroom decorated in browns, tans, and blues, and a splash of green. It features a king bed, plush carpeting, a snug sitting area by the window for you to cuddle with a book, take a nap or star gaze into the galaxy, and its own private bathroom. The master bathroom is deemed to give you a majestic feeling with two separate, double sink, granite counter top vanities, closets, a tub for relaxing baths, and a tiled shower. The second bedroom on the first floor features a queen bed, a restful armchair and its own bathroom, which also serves as the powder room. Up the stairs, you will find the entertainment room. It houses a pool table to feed your competitive souls, a wet bar for cocktail making, an in-house theater system with a 75" TV, perfect for movie watching, a sleeper sofa, and even large and cozy leather chairs so that you will be comfortable while enjoying the movie. The third bedroom is home to a king bed and has its own private bathroom with a tiled walk-in shower. On the way to the fourth and fifth bedrooms, you will pass by an additional seating area with a flat screened television. The fourth bedroom has a king bed and the fifth bedroom is perfect for kids as it is home to two twin beds; both bedrooms share a common bathroom. This tasteful and regal decor, the plenteous space, the adventurous location, and its own in-home entertainment room makes this beautiful home a luxurious palace in the Low Country. Property is truly as nice in person as it looks on website pictures. We found your team members attentive to our needs when we had questions about the property before and after renting. For large parties this house is perfect. The bedrooms are spacious and the common areas are more than ample for our party of 7. There was more than enough space to explore the house in private. The outdoor deck and seating for 8 and would have been a great space to sit out and enjoy the wonderful greenery. The people at Sunset were very professional and responsive. We really enjoyed the house at 13 Forest Drive. It was perfect for our needs. The three king beds were clearly a selling point for us.